Donald Trump: "I'd get along very well with Vladimir Putin"
Presidential candidate and businessman Donald Trump predicted Thursday he would "get along very well with Vladimir Putin," Russia's president who is often at odds with the current administration. Elaborating on the relationship between Putin and President Obama, Trump said, "Obama and him, he hates Obama, Obama hates him. We have unbelievably bad relationships." His comments came during a press conference in Scotland, where he is attending a golf tournament at the Trump Turnberry course. Does Donald Trump have staying power in the 2016 GOP race? He explained that he had been to Russia during when he had a "major business" there and said he "had a great relationship with the people of Russia." Asked later to elaborate on what he admires about Putin, Trump said, "I didn't say I admire him." He declined to answer a follow up question about which world leaders he admired, saying, "I don't want to get into that." He didn't just predict a good relationship with Putin. Trump also said he would be "very close" with Britain and that the U.S. would have "such a great relationship with this part of the world and I think many other parts of the world." He said he would also be able to get along well with people from China. "The problem we have is the people running China, Mexico, Japan, all of the leaders of those countries are much sharper, smarter, more cunning than our leaders and they're taking advantage of us," Trump said. 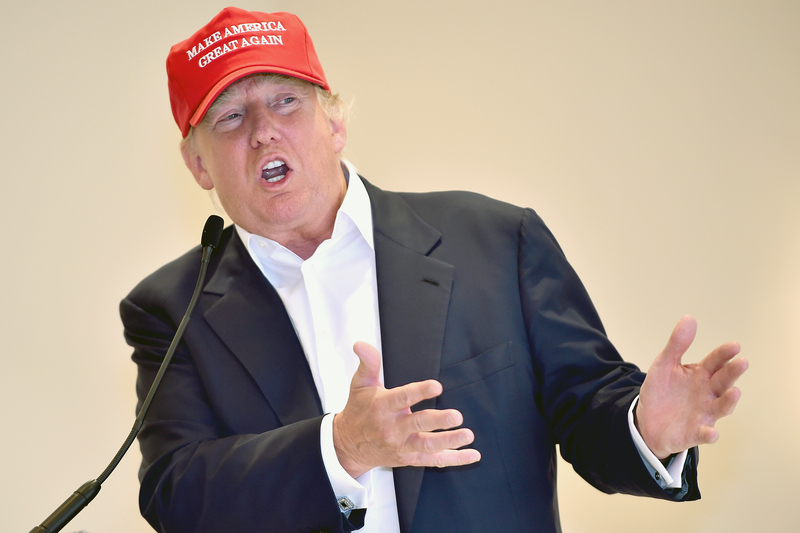 Trump placed first among 2016 Republican candidates in a new poll by Quinnipiac University. Twenty percent of Republican voters said they would vote for him to be the GOP nominee, though he also the candidate with the highest unfavorable numbers: About 30 percent of respondents said they would definitely not vote for him.